Was looking for a new recipe for Christmas dinner and wanted something colorful. Came across this one when flipping through Bon Appetit magazine – Seared Radicchio and Roasted Beets. Preheat oven to 450°. Toss beets with 1 Tbsp. oil on a foil-lined rimmed baking sheet; season with kosher salt. Roast, tossing once, until skins are charred and beets are tender, 40–50 minutes. Let cool. Meanwhile, heat 2 Tbsp. oil in a large skillet over medium-high. Cook radicchio wedges on cut sides until browned, about 2 minutes per side. Transfer to a platter. Add pomegranate juice to skillet; bring to a boil and cook until thickened and syrupy, about 5 minutes. 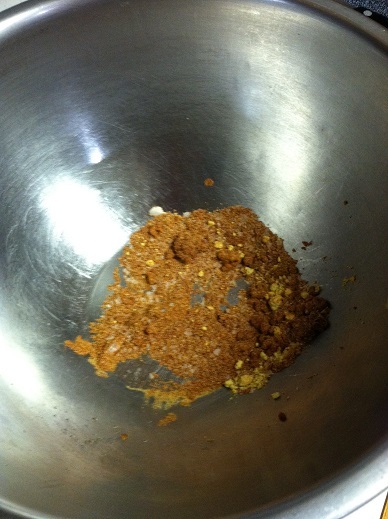 Stir in vinegar; season with kosher salt. Tear beets open and place around radicchio; spoon dressing over. Top salad with pomegranate seeds, sprinkle with sea salt, and drizzle with remaining 2 Tbsp. oil. You can roast the beets early to knock that off your list, since that takes awhile. That was helpful. I found that it took longer than 5 minutes to thicken the pomegranate juice. 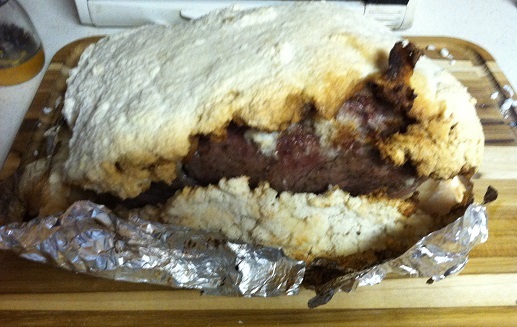 Regardless, in the end, the recipe turned out great. It had the eye-catching red/bright colors for the evening and was delicious. And, had leftovers (which tasted wonderful). Definitely saving it for future use. Last night we enjoyed quite a nice dinner of surf and turf, and of course some of great sides. 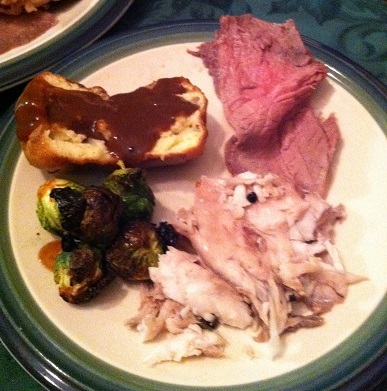 The menu included salt-cake rib roast, salt-cake snapper, grilled Brussels Sprouts, popovers and Pinot Noir. For the rib roast, cooking time was a few hours so that was planned well in advance. The ‘cake’ surrounds the roast and then it sits on the grill to cook to perfection. When done, you get to crack, break, peel it off. The fish was one I’ve made several times the past couple months and that shared the oven with the popovers. We think it might have affected the popping of the popovers because they were pretty much just mounds of bread-like things. 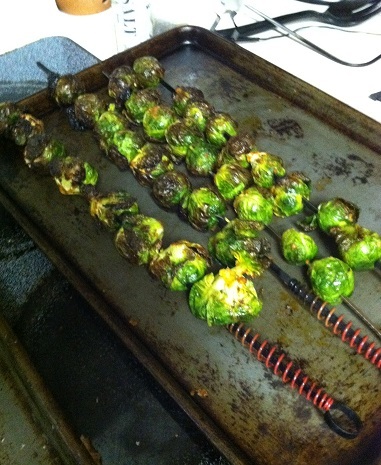 For the Brussels Sprouts, we used an Alton Brown recipe. You microwave the sprouts for about 3 minutes then toss them in dry mustard, paprika, garlic, salt and olive oil. 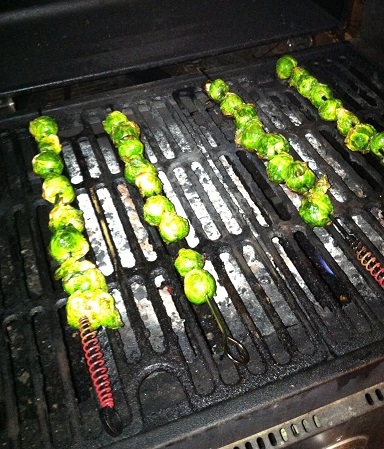 You skewer them then put them on the grill for 10 minutes, turning once. 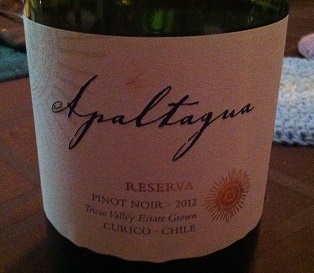 We enjoyed Pinots from Chile and (Sonoma County) CA with dinner, as well. 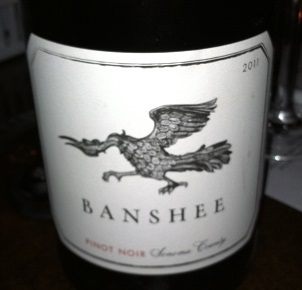 The Chilean wine was Apaltagua and the CA one was Banshee. Both very nice pairings to match the surf and turf.